"10 Days Without" is not the most inspiring read but is mildly interesting. 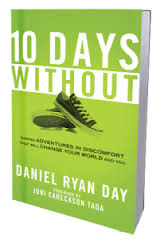 The concept of the book follows the author, Daniel Ryan Day through different challenges of going 10 days without something. He went 10 days without his voice, touch, and furniture to name a few. WELL...it seems on almost all of the challenges there were exceptions, so he didn't really go 10 days without. The concept behind the 10 Days Without of focusing on an organization to help with each challenge is a good idea. 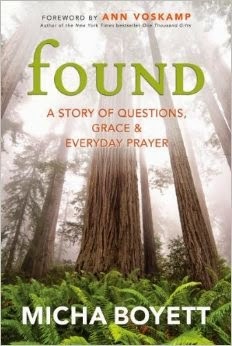 Micha Boyett's "Found" will be a treasure for fans of Ann Voskamp. Boyett's writing style is similar to Voskamp's. 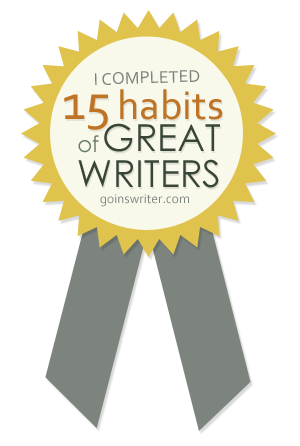 Readers will not want to read in one sitting, but in small nuggets. Giving the necessary time for digestion and contemplation. When reading Boyett, it can resemble walking through soup-thick fog but the treasure is there. It is important the reader doesn't give up. Boyett describes her own spiritual walk as 'trudging through' but worth the effort even with the struggles of what she had always been taught. "It's not that I believe Benedictine spirituality will be some magical answer to the spiritual sludge I've been drudging through. It's just that all the answers of my evangelical past...read more Scriptures, pray longer, try harder, serve more people...have become heavy burdens in my life." 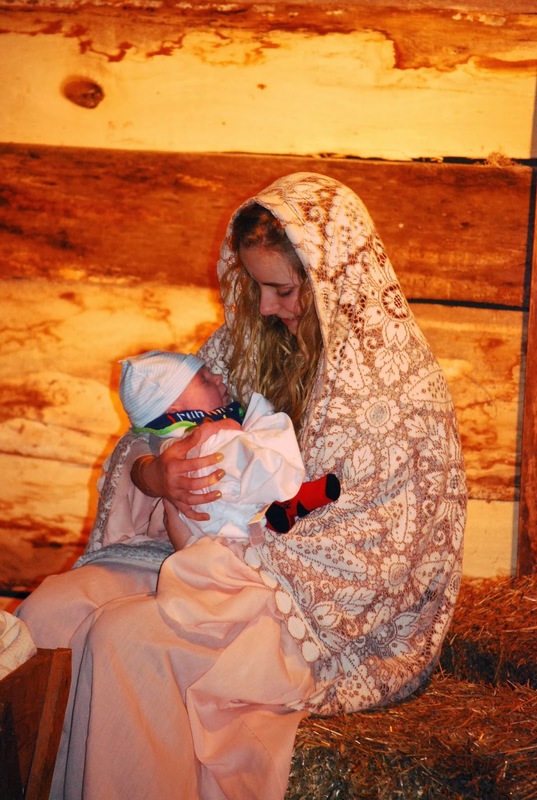 Boyett further shares a story,told to her by a fellow traveler, "The Benedictines more than any other people...insist there is time in each day for prayer, for work, for study and for play. I thought, I ought to remember that. I thought, I need to believe that." 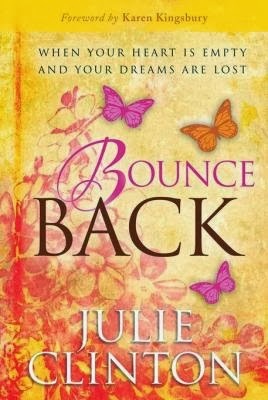 The book explained it is may be easier to remember and believe this concept than to walk it out in day to day life. Boyett takes us on the journey of figuring out how to walk out this concept. Readers who enjoy the writing style of Ann Voskamp and/or stay-at-home Mom's will enjoy Boyett's voice in "Found." 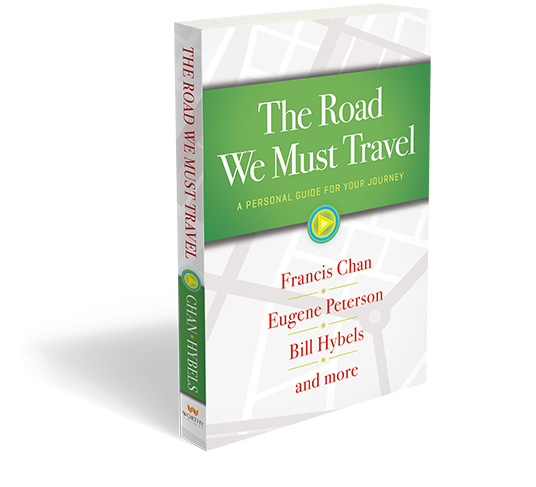 "The Road We Must Travel" is a compilation book with some well known authors and not so well known (at least to this blogger). 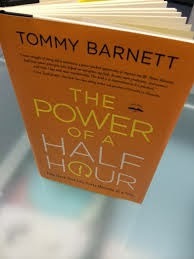 The book is a easy read, which can be read easily as a devotional or in small chunks of time. "The questions I (MacDonald) like most search one's heart...They are meant to test the inner space of one's life and prompt conversation that leads to light." He further explores how each event in one's life is "often buried like gold or oil" that goes undiscovered. There are gold nuggets in this title and it will be dependent on the reader to search for them while reading. I believe each person's nugget will be different as God meets each of us. Eugene Peterson reminds us, "the bible is not a textbook, or a manual to be studied, mastered, and mechanically applied. 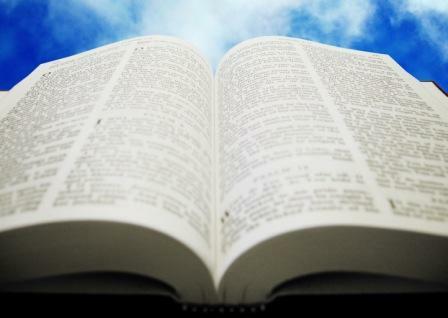 Instead, we should listen to the Word of God and reflecting upon it...letting it filtrate our soul." Charles Stanley says it this way, "We read and believe the Bible but we also need to absorb it." Some of my personal favorite portions are Eugene Peterson's "Reading the Spiritually", Ruth Haley Barton's "A Steady Rhythm" and Tullian Tchividjian's "Trouble Happens." Picking up a copy of "The Road We Must Travel" and spending a few minutes with each these wonderful teachers is definitely worth the time. "You’re going to find that there will be times when people will have no stomach for solid teaching, but will fill up on spiritual junk food—catchy opinions that tickle their fancy. They’ll turn their backs on truth and chase mirages." from the Book of John in the Bible. it to accurately depict THE Jesus of the Bible. During the viewing, my emotions went from sadly humorous to agitated to angry. 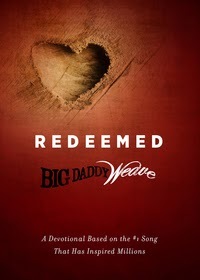 Sadly humorous that so many Christians are saying how wonderful and accurate the movie is. Those five pages were all the inaccuracies, I noted while watching. At one point, when the agitation set in, I quit writing and had some popcorn. Therefore, some inaccuracies were not listed in my notes. The anger set in at how gullible 'the church' is. But, that falls on us not Hollywood. Because we are the ones who don't know God's Word. We don't spend time in the Bible. ~The female (Mary) portrayed as a 13th disciple. ~Lazarus being raised from dead. Yes, he was raised from dead but NOT as they portrayed....Jesus entering the tomb and kissing Lazarus' forehead is not how it happened. These are just a few of the inaccuracies in my notes. With all this said, I am not going to tell you do or don't go see this movie. Why? Because, the majority of you reading this are adults. It is not my job to tell you what to do. My review's purpose is to put the facts out there. "Went to see the Son of God movie...not impressed! If you watched the bible series that was on the history channel. Don't waste your money you've already seen it."